I am sharing these St Patrick’s Day cupcake printables are a festive way to celebrate! 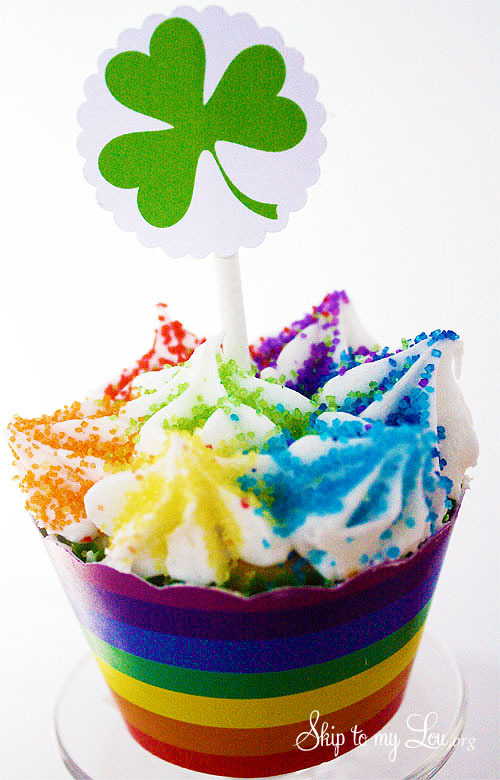 Decorate cupcakes with these shamrock cupcake toppers and rainbow wrappers. 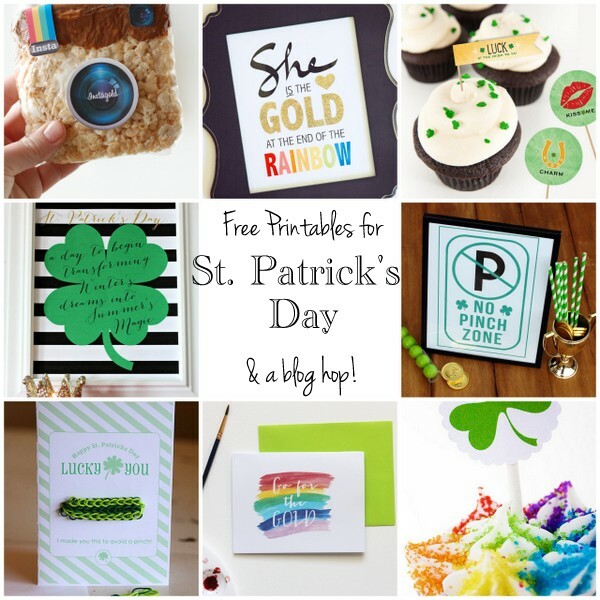 Simply download the Free Printable St Patrick’s Day Cupcake Toppers. Print in color on white card-stock. Cut shamrocks with a circle punch. Attach circles to a white sucker stick. Cut wrappers out using scalloped scissors across the top. Want more cupcake fun? 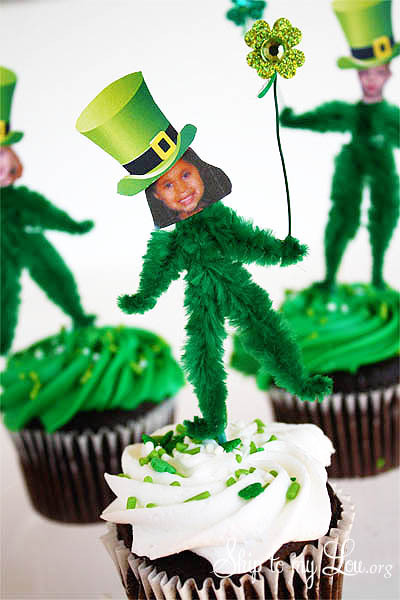 Turn friends into leprechauns with this cupcake topper idea. Take a photograph and add a leprechaun hat (yes, I have a printable for you) add a few details and you have a totally cute cupcake. Hi Cindy - pinned your collection. :-) So fun!